As busy as me and my high school friends get, we try to find at least one day out of the year to sit down together to a bountiful meal and catch up on our lives. 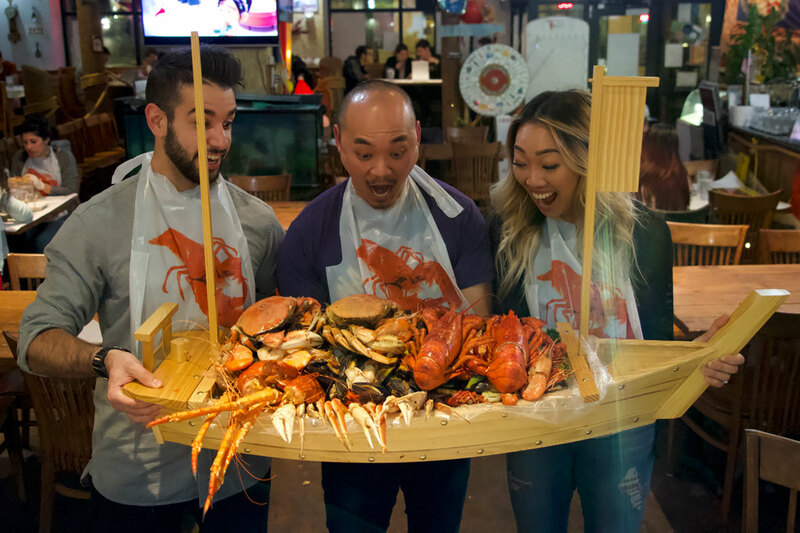 Well, it appears Seattle's Crawfish King can accommodate just that with enough shellfish to keep a group of old friends from falling out of touch. The seafood bar and restaurant is the home of an entree they call the Royal Feast. So what makes this feast so royal? Crawfish King's platter lives up to its name by boasting a massive cornucopia of seafood delights all crammed into a miniature wooden ship. I feel like I need to switch over to stretchy pants just reading through that list. It's a good sign. Those in the Seattle area looking to brave this massive vessel can order it for $900. It feeds approximately 16 people, but since it's such a large order the restaurant requires about 24 hours notice beforehand.